A piano's age can be determined by checking its serial number. This number tells you the year it was made. Just be careful not to confuse it with the case or part number. If you cannot find the serial number, there are other options for determining the age of a piano. Locate the serial number on your piano. It can found in spots marked with a letter S. Depending on the type of piano , it can be found in a number of locations. In most cases it will be on the back or the inside of the instrument. Check the serial number with manufacturer lists. 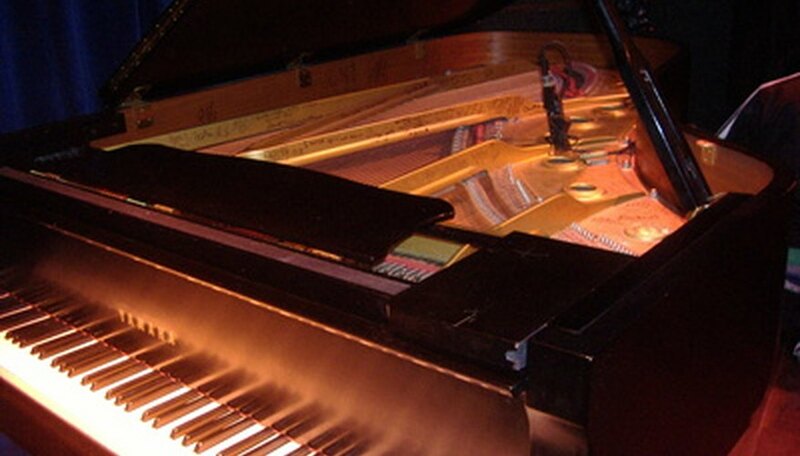 Try the website UK Pianos (see resources) and type "Piano Serial Numbers" in the search field. Click on the first link "Piano Serial Numbers Part 1." View theirs for free to see if yours is listed. Go to the website Blue Book of Pianos (see resources) and click on "Piano Ages." Here you can look find out more about the manufacturer and the age for free. Check for piano books at a library to see whether you can find your make of piano and further detailed information such as its age. Go to Piano Atlas and use their service to find out how old your piano is. Click on "How Old is My Piano" on the left side of the homepage.